City Councilmember Debora Juarez said in a meeting Monday that an April 12 deadline has been set for all interested parties to complete proposals to renovate the arena for NBA and NHL use. Two arena companies have indicated they plan to apply. A request for proposals to renovate KeyArena for NBA and NHL use is to go out Wednesday with a response due in three months. Seattle City Councilmember Debora Juarez, who chairs a committee overseeing Seattle Center, told a council briefing Monday that a deadline of April 12 has been set for interested parties to forward their proposals. Two global arena companies based in Los Angeles, the Anschutz Entertainment Group (AEG) and the Oak View Group (OVG), have indicated they plan to apply. Juarez said the city would have to decide on the best proposal and negotiate a deal with the developer. She added that the council expects that it will be asked to approve the deal. In addition, a group headed by entrepreneur Chris Hansen expects in coming weeks to present the city a revised, all-privately-funded proposal to build a new arena in the Sodo District. Last May, the city council voted 5-4 against approving the sale of a part of Occidental Avenue South to Hansen for the project, effectively killing that plan. Hansen’s previous proposal would have seen him obtain up to $200 million in public-bond money for the arena if he could land an NBA team first. But the NBA has yet to announce any expansion plans, and the funding deal between Hansen, the city and King County was set to expire in November 2017. That date is now moot, with Hansen switching to an all-private proposal. But Mayor Ed Murray has said the city won’t decide anything on the Sodo plan until it first reviews any KeyArena offers. 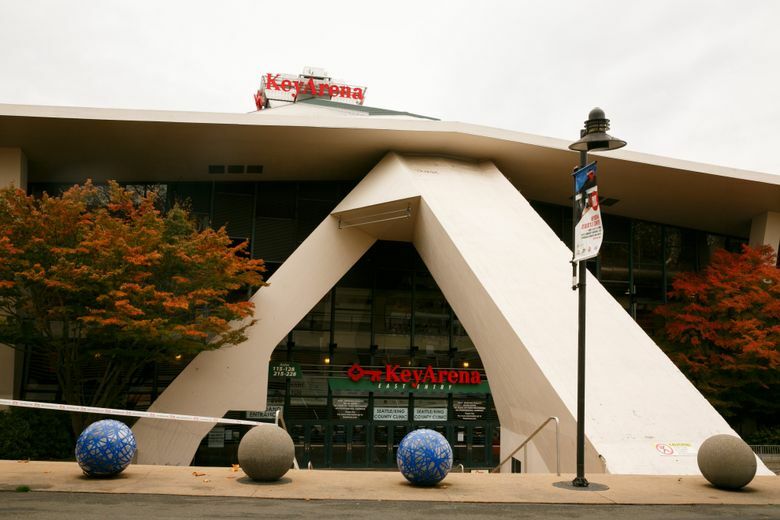 The city plans to have only one major arena — a revamped KeyArena or a new Sodo venue — once the process is complete. By setting the mid-April deadline, the city could pick one of the KeyArena offers or opt for the Sodo plan come summer. That should line up with the earliest point the NBA is expected to announce any formal expansion process and would allow Seattle to participate in the bidding for franchises. OVG president and CEO Tim Leiweke has said his group plans a “stand alone” facility to accommodate concerts at KeyArena, but the venue would be convertible for NBA and NHL if teams become available. Leiweke said his group also plans all-private construction and would participate in a leasing arrangement with the arena, which would continue to be city-owned. AEG has yet to unveil details about its financing plans. Hansen has said he would start to build his private arena in Sodo once assured teams could be secured to play there. Geoff Baker: 206-464-8286 or gbaker@seattletimes.com. .